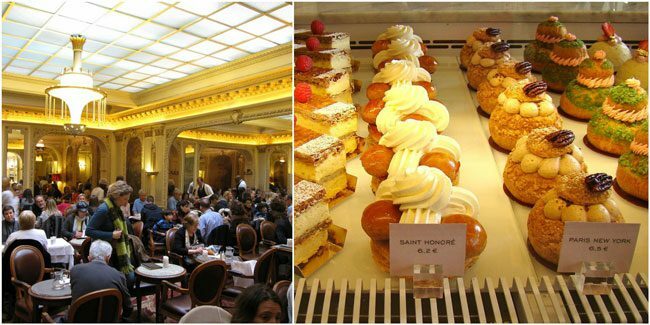 Definitely the ‘sweetest’ post I’ve ever written, I’ll be taking you this time to visit 12 of the best pastry shops in Paris! I’ve recently spent three months in the City of Lights and what I learned is that pastry shops in Paris are definitely not what they’re back home. 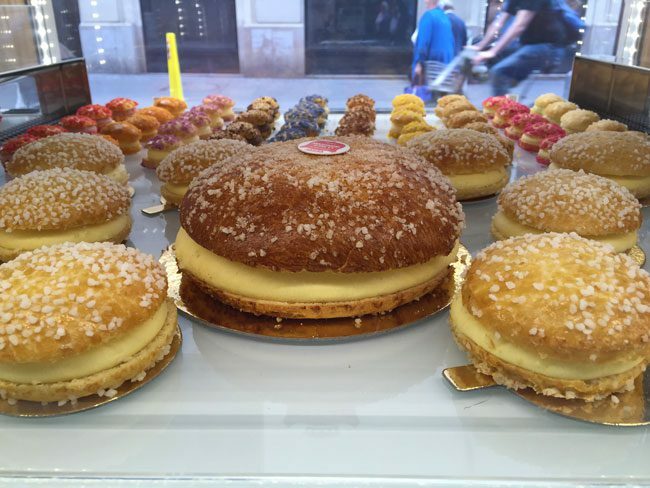 Pâtisseries, as they’re known around here, are a must in every Parisian neighborhood and the best pastry chefs are as well known as the biggest Hollywood stars. 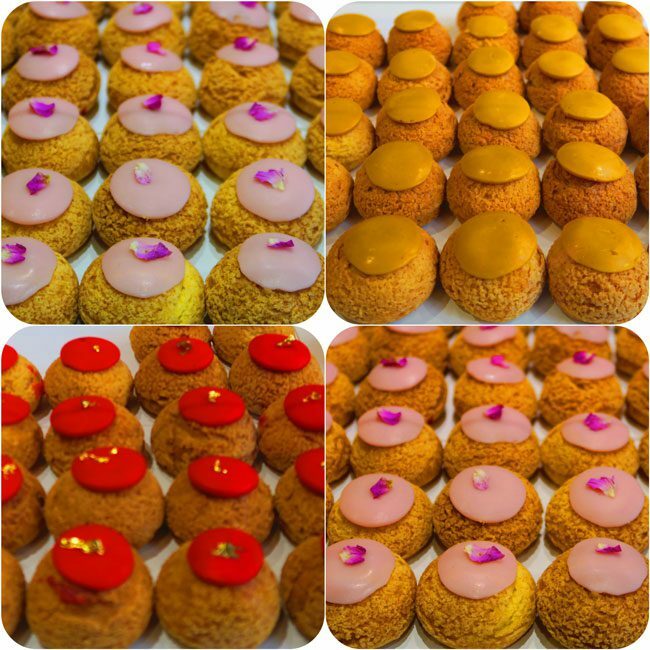 In the best pastry shops in Paris, extreme thought and dedication goes towards making what you see at the counter. 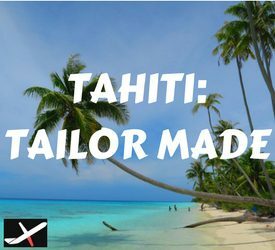 So it is expected that such great lengths at reaching perfection come with a hefty price tag. Expect to pay at least €5 for a single pastry in the pastry shops mentioned here. Either in an effort to justify the price or perhaps just to give the sweet gems an aura of luxury – expect your pastry to be comfortably housed in a totally unnecessary elaborate package. Don’t expect to be in an out in minutes, it takes time to put the treasure you’re about to eat in its chest. 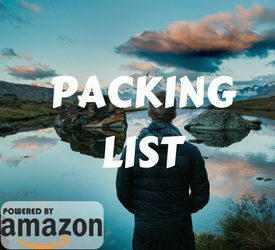 So whether it’s all about the packing or all about the taste, let’s embark on our sweet journey across Paris and you’ll be the judge! Somewhat of a neighborhood powerhouse, Jean-François Piège’s latest addition is this excellent pâtisserie. Just across the road from the Thoumieux hotel and Thoumieux brasserie, this pastry shop is minimalistically beautiful and the pastries are to die for. 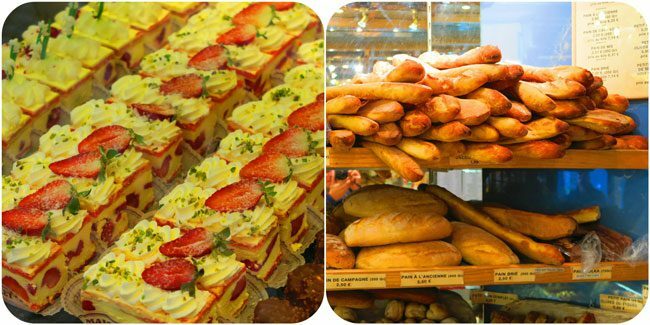 Choose from classics like the chocolate éclair and the crème citron or go for the renowned croissants – you won’t be able to leave empty handed. There are few more gems around Gâteaux Thoumieux. 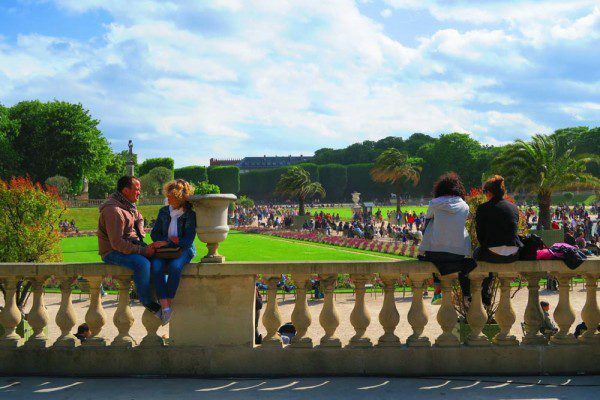 Check out this guide to the Eiffel Tower district and don’t miss a thing. I visited this pastry shops with my buddies on our culinary weekend in Paris and it was one of the best I’ve visited throughout town. 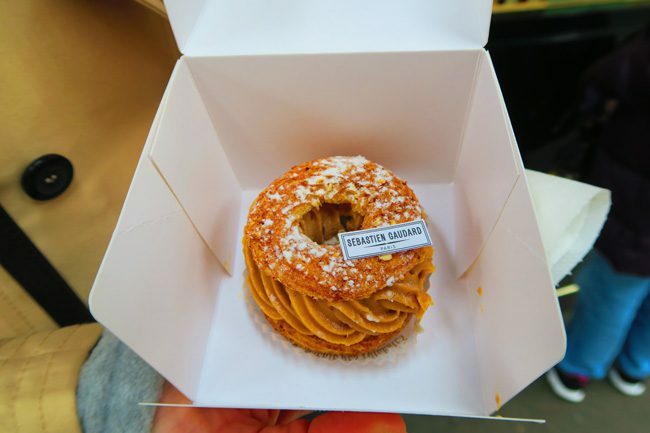 Sophistication, creativity, great taste and a positive pretentiousness that you expect from a chic neighborhood like Saint Germain – all combine to make Des Gâteaux et du Pain one of the best pastry shops in Paris! Forget about taking pictures inside and don’t take it personal if the staff never break a smile. It’s about the pastries here, not about you. As the name suggests, they also sell bread over but the true gems are right across, cooling comfortably in the inviting display. With prices ranging at about €6 per piece, every bite really counts. 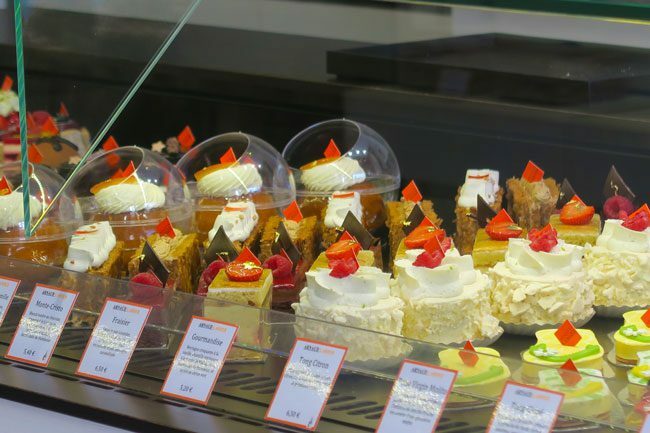 Conveniently or inconveniently located right next to Des Gâteaux et du Pain, depending how you look at things – La Pâtisserie des Rêves has a few other locations around Paris. 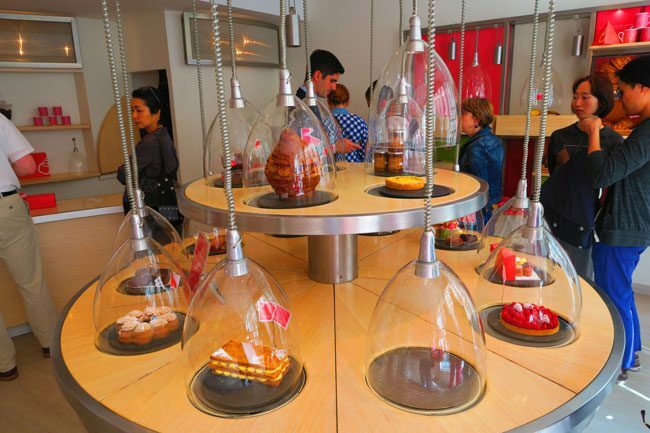 With so many good pastry shops in Paris, chefs need to go beyond the taste to attract visitors and at La Pâtisserie des Rêves, it’s all about the display. Sweet works of art are protected by futuristic glass contraptions that rise when you move in for the kill. 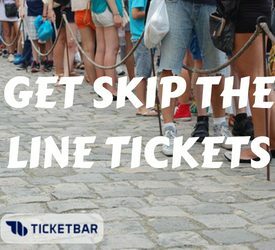 But that won’t stop you from leaving with something in your hand. Try to strawberry tart – one of my favorites! Saint Tropez is known as the playground of the rich and famous but did you know that one of the best pastries in the world was invented right here? I haven’t met anyone who doesn’t like a Tropézienne, a delicious pastry consisting of a pair of brioche slices with a vanilla custard filling. Don’t even think of calling this a donut or you’re really risking things with the French! 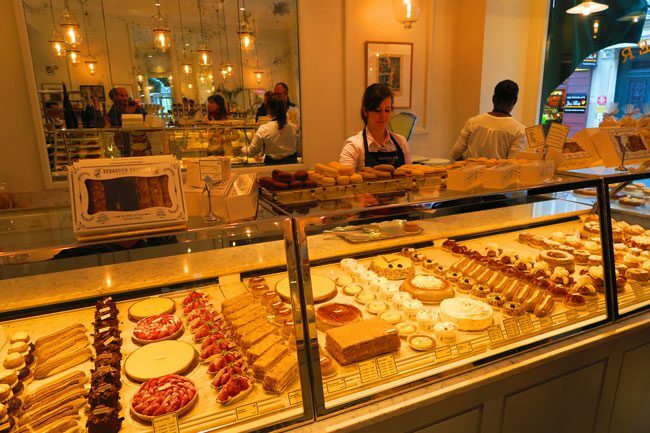 Right beside the Saint Germain market and the busy Boulevard Saint Germain, if you love vanilla custard, you just have to make it to La Tarte Tropézienne. Sometime too much choice can make things difficult for you and that’s exactly the problem you’ll face over at Arnaud Larher. Should you go for the strawberry tart? Or maybe for the chocolate mouse? Tough choices – ah? 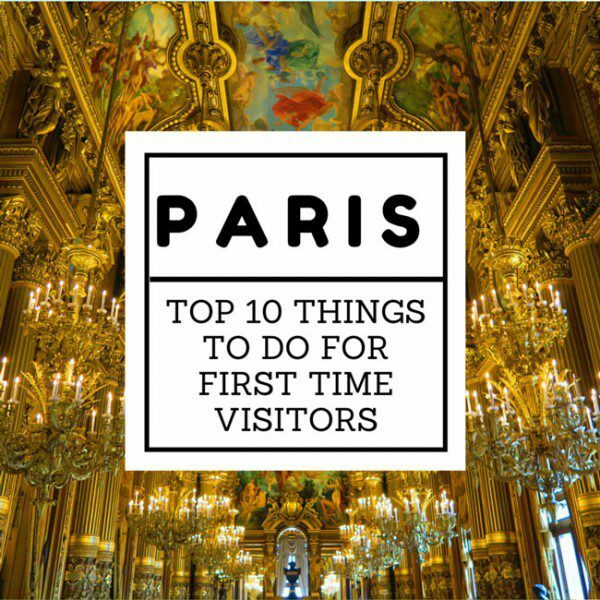 Maybe just go for the lemon tart – renowned throughout Paris! 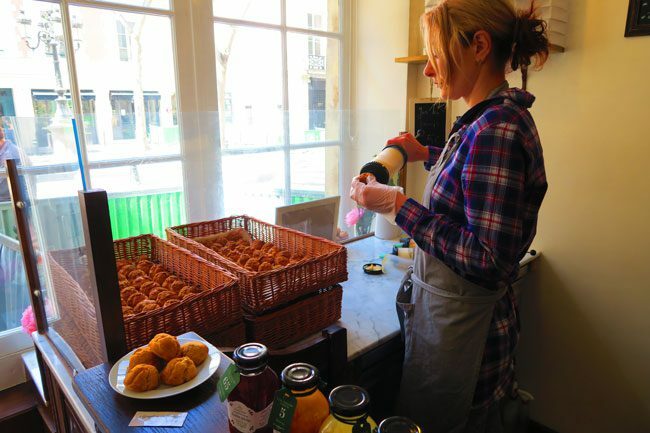 Tucked away in one of the quietest spots in Saint Germain, La Maison du Chou makes one thing but does it really well. These tiny fluffy pastries are filled with white cheese and vanilla, coffee or chocolate. 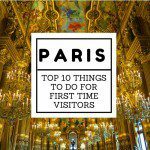 Saint Germain is one of those classic Parisian neighborhoods. 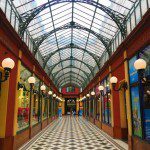 Plan your perfect day in Paris with this Saint Germain itinerary guide. 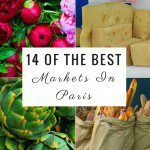 Rue Montorgueil is one of the best market streets in town and just about halfway down, you’ll find one of the best pastry shops in Paris. Stohrer has been making pastries & breads since 1730! 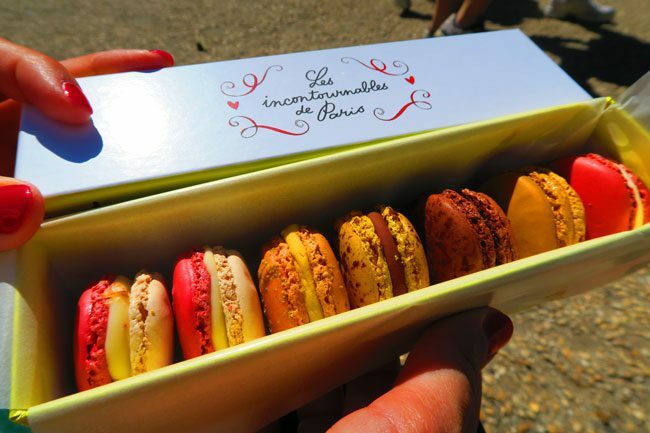 In fact, they are so famous around Paris, that they’ve been selected to bake for Queen Elizabeth on her visit to Paris. 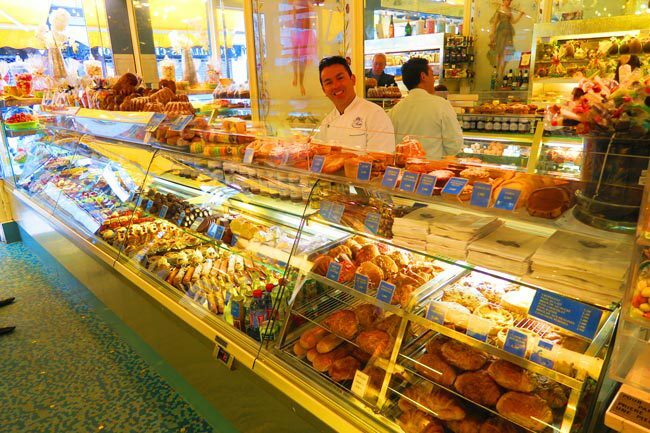 Staff are friendly, the baguettes are super fresh and the pastries are so damn good! 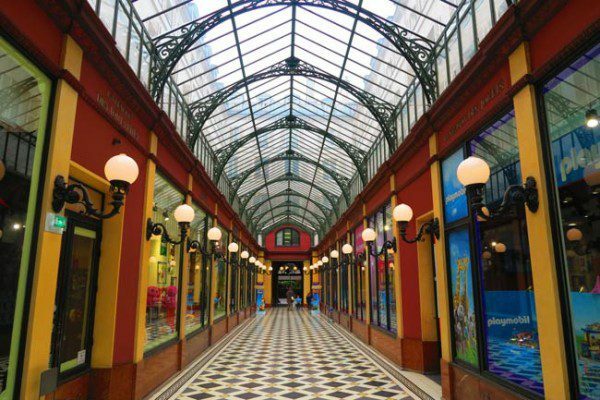 This Parisian institution is a lot more than just a pastry shop. But if you don’t feel like breaking your wallet for brunch or dinner, come to Angelina to enjoy a cup of their famous hot chocolate with a homemade pastry on the side. Complete with gilded ceilings and beautiful murals, the Paris of old come to life at Angelina and the pastries are out of this world. 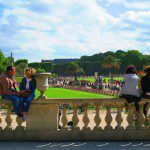 Have a look at this guide to the Paris Grands Boulevards and don’t miss any central Paris highlight! 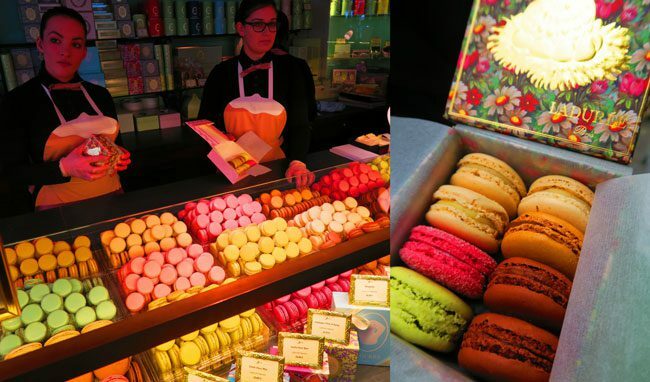 Whether in Saint Germain, the right bank or even at the airport – you cannot visit Paris without catching a glimpse of these famous macarons. 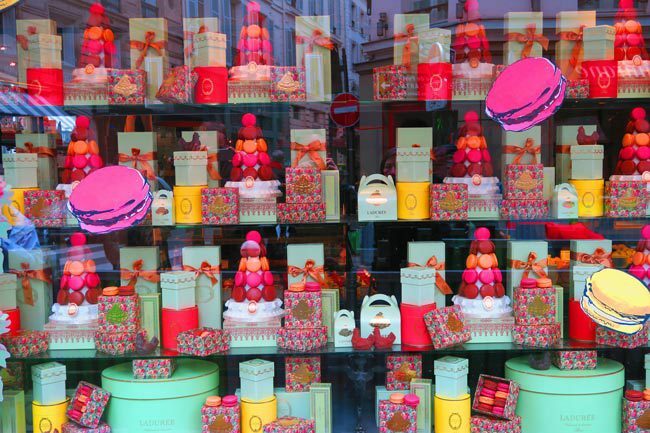 Ladurée is synonymous with the double decker pastry that comes in all flavors and colors. They’ve been making them since 1862 and these tiny sweet delights fly off the shelf as if they were free. 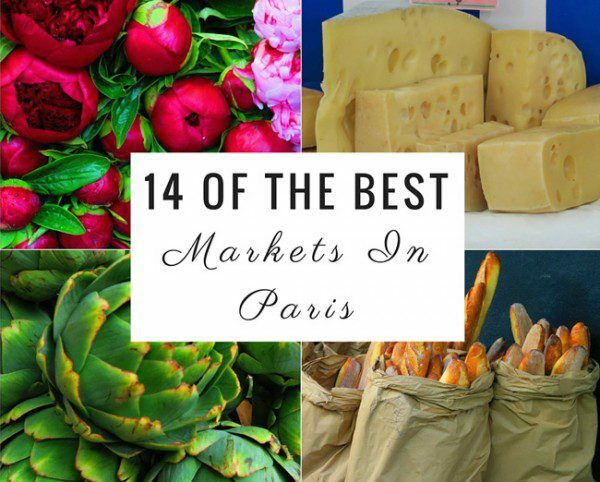 Every season brings its flavors and my favorite location is in Saint Germain. The decor on the outside doesn’t leave much room for thought and you’ll be drawn inside as if you were sleepwalking. The act of just choosing the macarons are almost as exciting as actually tasting them and I think a huge part of the experience is in the packaging – it really resembles a treasure! 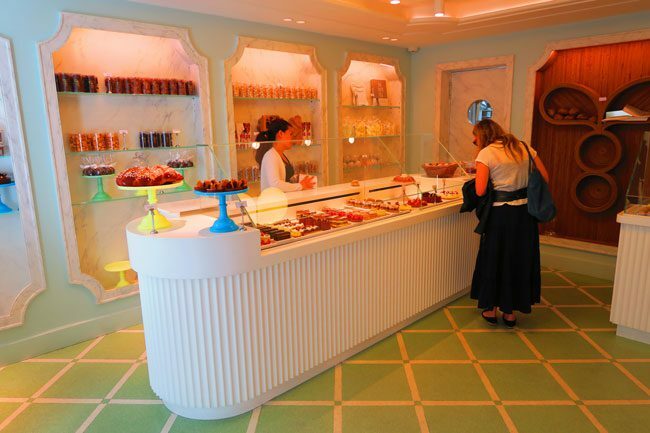 With a quite a few locations around town, Pierre Hermé has carved out a name for himself as one of the premier pastry chefs in France. Perhaps this is the reason he’s known as the ‘Picasso of Pastries’. Famous for his macarons and rivalry with Ladurée, the flavors here have undergone a long thought process and been scientifically blended to create unique seasonal flavors. Try the rosé, passionfruit, grapefruit and my favorite – pistachio. Who am I kidding, try everything! 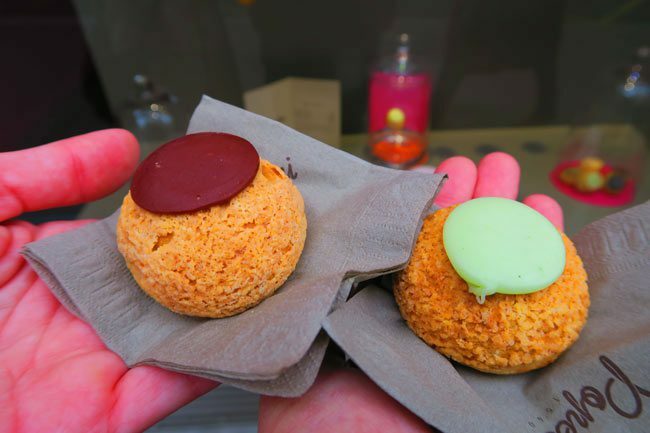 Another choux maker (see La Maison du Chou), Popelini makes these tiny creamy puffs over on Rue des Martyrs – one of those ‘classic’ Parisian streets. A sweet colorful layer on top gives a hint for the flavor that awaits you inside. But there’s really only one way to find out. 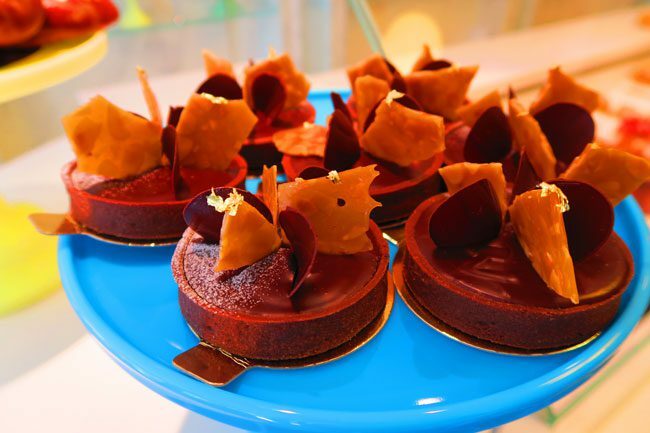 Definitely one of the best pastry shops in Paris and definitely my favorite, Sébastien Gaudard is known as the ‘little prince’ of pastry chefs. He learned the ropes while working with Pierre Herme before spreading his wings and creating delicious works of art that make you feel bad when plunging into them with your mouth. You won’t be able to resist and so can’t other Parisians, who come here to load boxes of pastries for that special occasion. 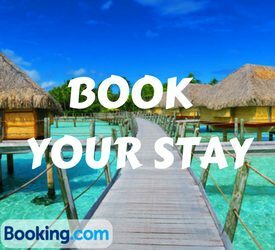 It ain’t cheap though folks, so be prepared to pay for a little slice of heaven. 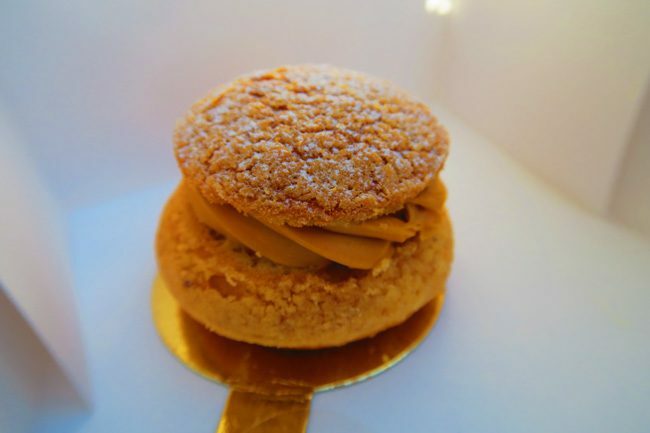 So there you have it, my list of the best pastry shops in Paris. Of course, there are probably a few others out there but my body just couldn’t handle the calories anymore. 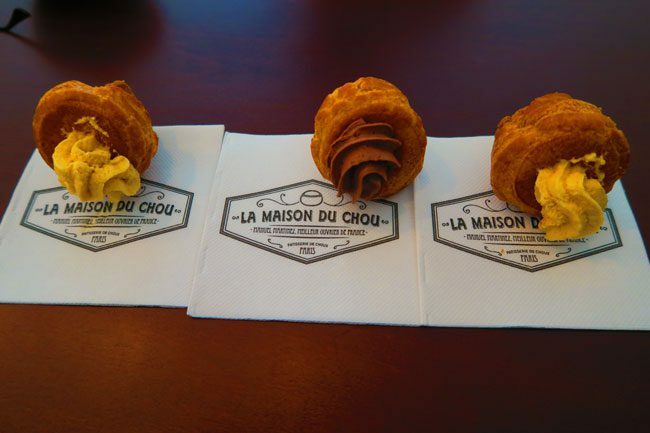 So wherever you are in Paris, be sure to know where the best pastry shops are, and just head over there for dessert. Remember, there’s always one right around the corner. Bonne appetit!